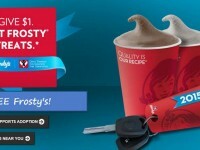 You can get a $1 Frosty key tag this year for all of 2016. 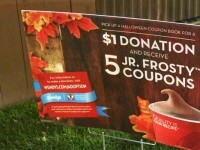 While supplies last, you can purchase a key tag for just $1 at a Wendy’s restaurant, which you can show during checkout for each transaction through 2016 for a free Jr. Frosty. The purchase price of the key tag goes to help the Dave Thomas Foundation to help find families for foster children. 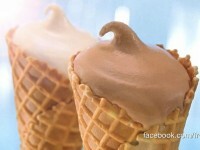 It is a great cause, and a great deal as well. 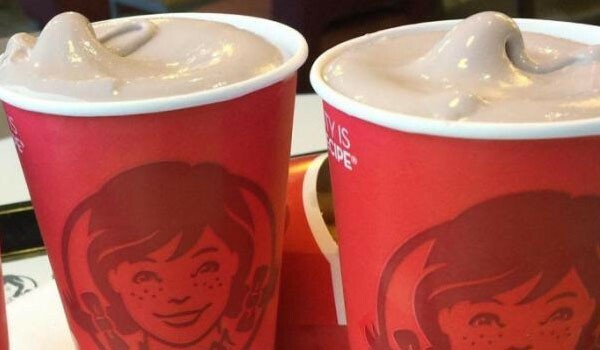 A Jr. Frosty normally costs about 79 cents, so if you go to Wendy’s often, this is a great addition that will pay for itself after just one visit.